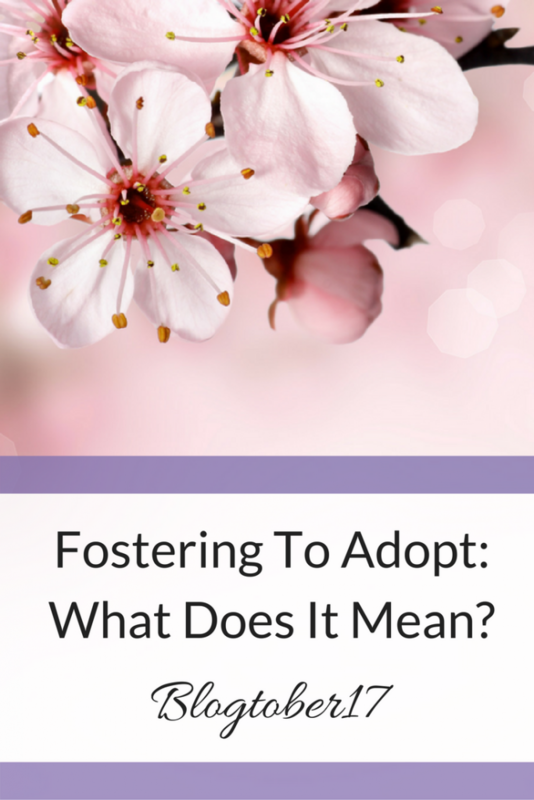 Fostering to Adopt : What Does It Mean? So, if you have had a quick read of Day 1 of Blogtober, you’ll have an idea about today’s post. Day 2’s prompt is ‘Babies’. As I’ve mentioned before (in fact in pretty much every post about my little tribe), Little Miss and Little Sir are adopted. Back in September 2014 when we doing our first preparation groups (basically pre-natal classes but shorter), we were asked what ages of children we were hoping for. Having discussed this to death, we knew that we were hoping for older children, preferably around school age. The main reason for this was because we knew that these children are classed as ‘harder to place’. However, at the time the social workers did talk to us about the potential of fostering to adopt. It was something that we briefly considered but decided not to go down the route of. 3 years later, however, we are now considering it! For those who are unaware, if you are wanting to adopt a child/children the likelihood is that you will adopt children who are toddlers or older. The possibility of adopting a baby is slim to none (although this statistic does somewhat depend on the ethnicity of the child.). But for us, a white British couple, it is unusual for a baby to be in the adoption system. According to figures calculated by AdoptionUK, back in 2016 only 5% of looked after children were under 1 year of age. This is compared to 20% of cihldren aged between 5 and 9! There are a few reasons for this. Firstly, even if a child is removed at birth from their birth families, they will then go to foster care while the wheels of adoption are put in motion. Usually a child is only removed at birth if either, the birth parents have already had children removed from them, or the birth parents are already in the remit of the social workers. 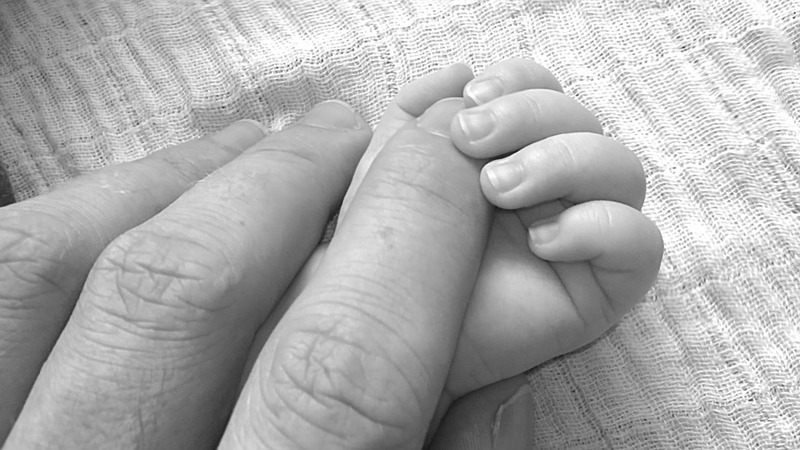 When a child is put into foster carer, they will have contact with their birth parents on a very regular basis – sometimes several times a week – whilst the parents are assessed to see if they are able to provide a safe home for their child. This assessment can takes months to be completed. Whilst this is going on, Social Workers are also busy assessing other family members to see if they could potentially safely bring up the child. Only when all potential family members have been discounted does the child move into the adoption sector and become available to be adopted. Hence why children are more often toddlers before they are in the adoption system! One of the biggest flaws of this system is that children can be moved many times to different foster homes in their young lives. Both Little Sir and Little Miss were in 5 foster care homes before they came home to us – this was in a year and a half! This can, understandably cause distress, trauma, attachment issues amongst other issues. So one way that the trauma may be reduced is through fostering to adopt. In a nutshell, fostering to adopt is where a child moves from their birth families to carers who will initially foster them, and then, if the child is then moved into the adoption system, will adopt them. The benefits to the child are huge! Through fostering to adopt, the potential is that the child will only move into one home, rather than several. This means that they will be able to build memories early on and celebrate developmental milestones and key events with one set of carers they will remain with. It also allows the child to develop strong relationships early on with their carers and the carers can offer restorative care to the child much earlier on. 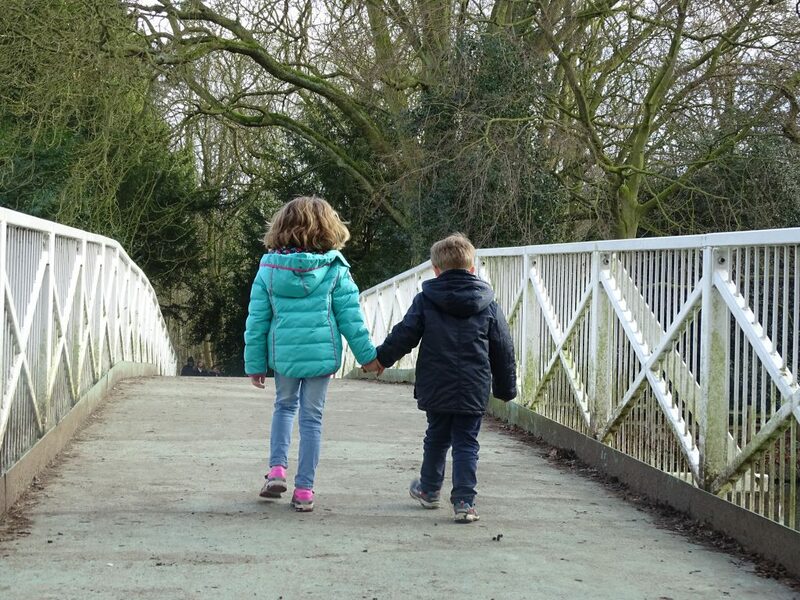 Having adopted our children at 3 and 5, we can confirm that they both have suffered significant trauma through the loss not only of their birth parents, but the 5 different carers they were with over the years. We are able to stay in contact with their final foster carer, but we aren’t able to be in contact with previous ones. If they had been able to go through the fostering to adopt system, this trauma would have been significantly reduced for them. So, 2 and a half years after adopting Little Miss and Little Sir, we are starting again on a new journey, but this time through fostering to adopt. The children are both very much on board and Little Sir would love to be a big brother. We know that there are likely to be trials along the way, and we’ll have to talk to the children about the possibility that the baby might go back to their birth family. But I know that, however difficult it might be for us if that happens, we will work together to celebrate that the baby will be love wherever they go, either with us or with their birth families. I think it’ll bring us even closer together as a family, and ultimately fostering to adopt will be our one way of bringing a baby into our family. Whether this is permanently or as short term carers, I know it’s something that we are all feeling passionate about. I’d love to know if you or someone you know has been through fostering to adopt, and how they have found it! Let me know in the comments below! What an amazing thing. Such an informative post, I had gathered it can be a difficult process, but hadn’t realised the time scales are long too. Thanks for sharing your story. My husband and I hope to foster or adopt in the future as we can’t have any more children naturally, fostering to adopt would definitely be an option for us. It’s heartbreaking hearing of how many homes children in the system go through. I can honestly, hand on heart, say that it’s one of the best things we ever did! I have a few friends who do short term foster care and I take my hat off to them and you. It’s so nice to know that children in the system do have people like you out there. Thanks so much for reading 🙂 – I’m really hoping we can go down this route! Thank you for this post, really interesting to read. 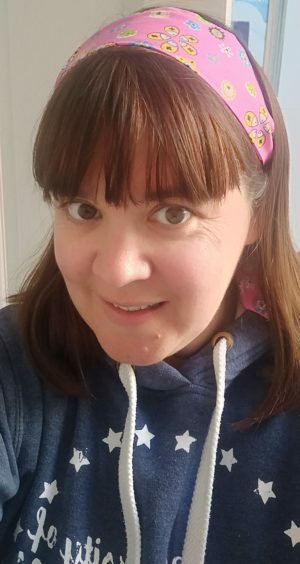 Fostering to adopt does sound like an ideal solution, although obviously not always possible and I imagine it must all feel very uncertain while waiting to hear if the child will be returned to their birth family. I hope it all works out for you, I’m sure your current children will love having a new sibling! This is so interesting to read. Many years ago my parents were foster carers to children. They took children short term when they were removed from their parents. Even in the space of a few weeks the children got so attached. Good luck with what must be a very exciting but anxious time for you all. Fostering to adopt is a wonderful idea. It’s so upsetting how often some of these children are moved around. Very interesting post! I wonder, how likely is that the child is placed somewhere else (incl. back with birth relatives) instead of becoming eligible for adoption? Not precise stats, just your educated guess. I’m not really sure but an educated guess would be that probably 75% of children who are taken as babies into foster care then are eligible for adoption. Babies don’t get removed from their birth parents very easily – lots of help is normally given to ensure that they can stay with the birth parents – so there has to be something pretty serious going on for them to be removed at birth. Thanks for the information. I had not come across Fostering to Adopt, as you mention above. It seems so tragic that babies / children are having many changes in regards to parent /s, parenting, carer / s, etc. When ideally they need love, nurturing, consistency, security, etc. Adoption must have changed so much over time. Nice that it can be discussed nowadays, as decades ago I believe that it was a taboo subject. I do know people who were adopted, as well as people who adopted. The circumstances vary. Some of the adoptions were as babies, granted some were quite some time ago. Some were as toddlers or young children, and were on occasions adopted by a family member. Have found that those who were informed of their adoption as a child seemed to accept the facts as part of their history, sometimes seeking more information as they matured and at their own pace. I tend to wonder how adoption will develop in the future. Some American programmes speak of Open Adoptions, of those that I have seen it has been young teenage girl giving her child up for adoption, meeting and having choice over accepting prospective adoptive parents. Also there being continued contact, perhaps yearly letter and photograph fro adoptive parents to birth mother. Seems a cohesive supportive way to parent a baby / child if all can agree to process, etc. Wishing you and your family well with your future.